Here are some vendors based out of New Jersey whom I have personally worked with in the past and can fully recommend to you with 110% confidence in the utmost quality of their work. Check them out for your next event! An open-air touch screen photo booth featuring a large vertical screen that allows you to fit more people into every photo preview before each shot. Its sleek, modern design fits any space, indoors or outdoors. Options include endless green screen backgrounds, a variety of beautiful sequin backdrops, classic strips or 4×6 prints, videos, GIFS, Social Media haring, incredible prop selection, photo filters & morel Photos can be fully customized with names, logos, borders, backgrounds – the options are limitless. What makes us different from other photo booths is that we make the photo booth a full entertainment experience for you & your guests. You get exceptional service and the highest quality photos. Let us help you make and share your memories! Buckle up as 88MPH takes you on a mystical time traveling journey, stopping at memorable musical destinations along the way. These incredible and energetic performers combine their amazing sound with lights and video imaging that poetically pleases your visual and audible pallets. Step back in time, propel forward, roll back, rocket ahead … when the night is over you will have experienced music all the way back to the 50s and forward to today! Click Here to see more! Fully insured professional mix DJs with high end sound and lighting. Music is the main attraction of any performance we do and its sure to have your guests partying for the entire duration of your event! Coming from a background of club and night life DJing in Las Vegas and Pittsburgh, you will be sure to have all your favorite hits from the 60s & 70s to todays top 40 mixed flawlessly and tailored to your event and guests needs. Weddings, Corporate Events, Private Events, Clubs, Bars, Charity Events, Store Events, Sweet 16s, School Dances, Birthdays, and your next event! Dj Dan is a mobile disk jockey company that has been serving New Jersey and Monmouth County for 14 years. We specialize in weddings, school dances, proms, sweet 16’s, personal parties and custom designed events. 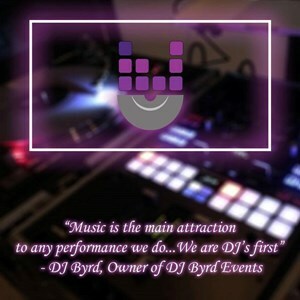 If you’re new to hiring Disc Jockeys please check out our hiring a dj 101 page. If you have any questions or concerns please feel free to contact us. We would be happy to help out in any way we can. At The Lion’s Mane Salon we strive to provide high quality services in a warm, welcoming environment, for individuals of all different backgrounds. We are available for your hair, nails, makeup and waxing needs, using salon quality products. Downstairs, we are an Aveda exclusive haircare salon, using only naturally derived, earth-friendly products to achieve your desired look. Upstairs we provide the most relaxing and soothing natural nail services, manicures, pedicures and massages. Wairglam was designed with the passion to transform our customers confidence and appearance by providing quality makeup applications and professional skin care solutions. We strive to continuously grow our business with knowledge and honesty; being our customers trust us, to assist them to put their best face forward. Rafferty Enterprises LLC entertains around the New Jersey and Pennsylvania area. We specialize in Sweet 16’s, School Dances, Fundraisers, and more! At every level our food supply must meet the three criteria of quality, purity and justice. Buono, pulito e giusto. Our food should be good, and tasty to eat; it should be clean, and produced in ways that are humane and environmentally sound; and the system by which our food is provided must be economically and socially fair to all who labor in it. When we seek out food that meets these criteria, we are no longer mere consumers but co-producers, who are bearing our fair share of the costs of producing good food and creating responsible communities. Based out of Sayreville, NJ, Nunzio’s Kitchen will cater your event. Please email Admin@NunziosKitchen.com for more info!